For years, Pacific Theatre has offered the always-sold-out Christmas Presence, in which a rotating series of musical guests celebrate the birth of Christ with songs, readings and other merriment. 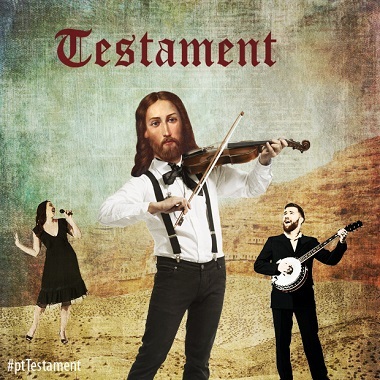 This year, they have introduced Testament, which will no doubt become a new tradition, for the Easter season – but it only runs until Saturday (April 15). Like Christmas Presence, but without Christmas! Fact is, Jesus grew up – and during Passion Week, we’re going to dig into those songs and stories. With different guest musicians each night and songs by artists like Woody Guthrie, Patty Griffin, Sam Cooke, Tom Waits and the Bruces (Springsteen and Cockburn). Among the musicians taking part: Lee Aaron, The Kwerks, Tom Pickett, Kathleen Nisbett (of Viper Central), Peter La Grand, Spencer Capier and Nelson Boschman. Also Christmas Presence standbys like Allen Desnoyers, Michael Hart and Garth Bowen. Go to Soul Food Vancouver for a full rundown on many of the artists. There will be the same kind of wide-ranging readings as in Christmas Presence – from This American Life to Catcher in the Rye, Dorothy L. Sayers and Frederick Buechner, excerpts from The Last Days of Judas Iscariot and Cotton Patch Gospel, and writing about Jesus by Leonard Cohen, Shusaku Endo and Bono. 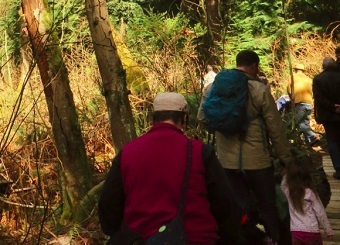 An ecumenical pilgrimage through one of Canada’s poorest neighbourhoods, Vancouver’s Downtown Eastside, commemorating the places of pain and hope in our community; featuring reflection, song and prayer. 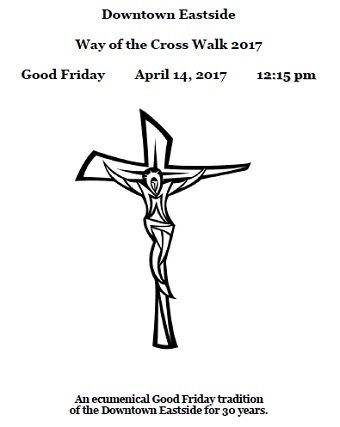 The Way of the Cross is an ancient form of meditation, using sight and movement. Early Christians used to walk the Via Dolorosa of Jesus in Jerusalem, following in the footsteps of our Lord. 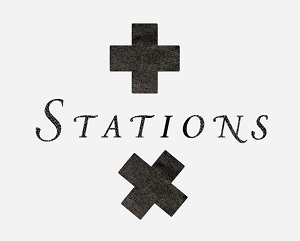 All that is required to ‘make the stations’ is a prayerful pondering of the mystery of Jesus’ suffering, moving from one scene or site to the next – and being open to making the connections. We’ll draw connections between the time of Jesus’ death and resurrection with the destruction of creation we see around us. Some of us will walk on the trails in the park, stopping at three to five stations to focus on different climate justice issues. Those who opt not to walk the trails can walk along Centennial Way and the open fields to meet the trail group at the top of Pandora Trail. We hope to reflect with you upon the beauty of the gospel and creation this Easter season. Meet at Burnaby Mountain’s Centennial Way parking lot closest to the Trans Canada Trail, where the 2014/2015 encampment protesting Kinder Morgan was. A Stations temporary art exhibit from St. Peter’s Fireside will feature 14 mixed media artists, accompanied by 14 writers’ reflections, from Thursday (April 13) to Saturday at GAM Gallery (110 E Hastings Street). The first night will include a Maundy Thursday service at 7 pm.